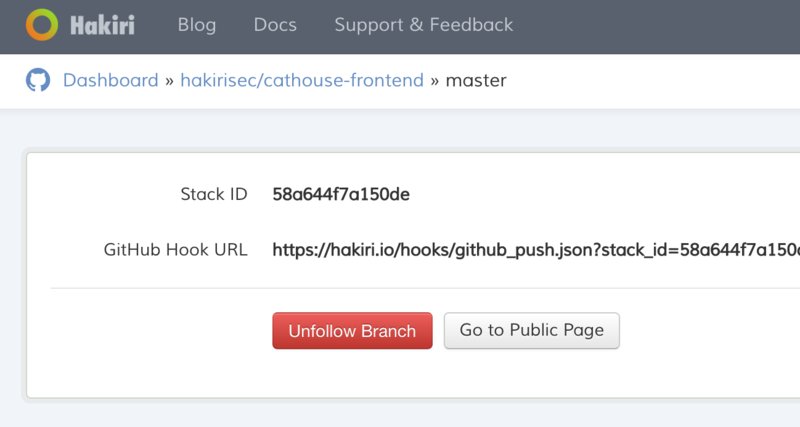 Hakiri sets up GitHub web hooks for you. This allows GitHub to ping Hakiri when there are new changes or pull requests in your repository, so it can perform timely security scans. However, in certain situations Hakiri won’t be able to setup web hooks. One of those situations happens when you don’t allow Hakiri to have web hook creation permissions on GitHub. Another one happens when you give web hook creation permissions to Hakiri but you are a read-only user in a GitHub organization repository. In this situation your permissions are limited at the repository level instead of the app level. In either case you can setup web hooks manually. 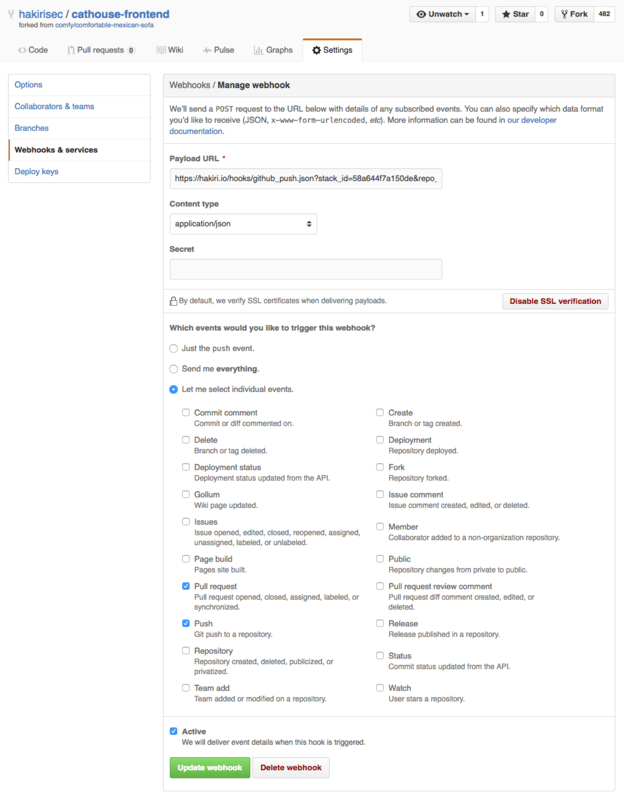 All you need to do is to go to the settings page of any of your followed branches in Hakiri, copy the web hook URL, and then paste it in the web hook settings interface. Make sure you set up both push and pull request events as part of the hook. You should be good to go. Now, whenever you push new code or a new pull request gets created, GitHub is going to ping Hakiri to scan your repo for security vulnerabilities.